It’s a potentially dangerous situation. 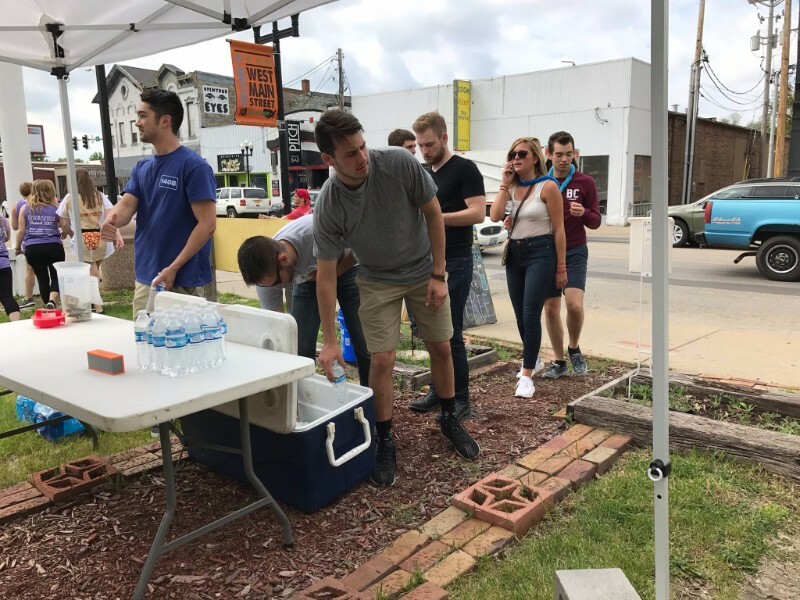 In Peoria every May, after final exams and before graduation, Bradley University students organize an unofficial bar crawl, known as the Bradley Senior Walk. Festivities start downtown at 9 am on May 11th. By late afternoon students are back at campus, 2.5 miles and more than one dozen bars later. They are not done yet, and by late evening they reach their final stop. 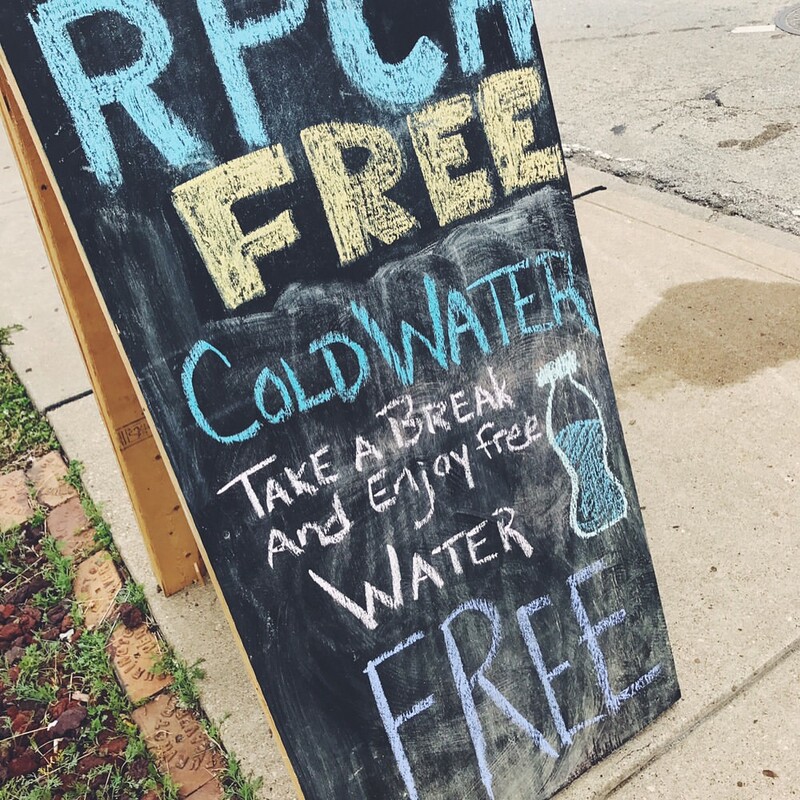 This year Epiphany Church partnered with the Renaissance Park Community Association (RPCA), a non-profit Epiphany co-founded, to help students stay safe. By running a water station, Epiphany and the RPCA provided water bottles, a place to sit and rest, and aid if needed. 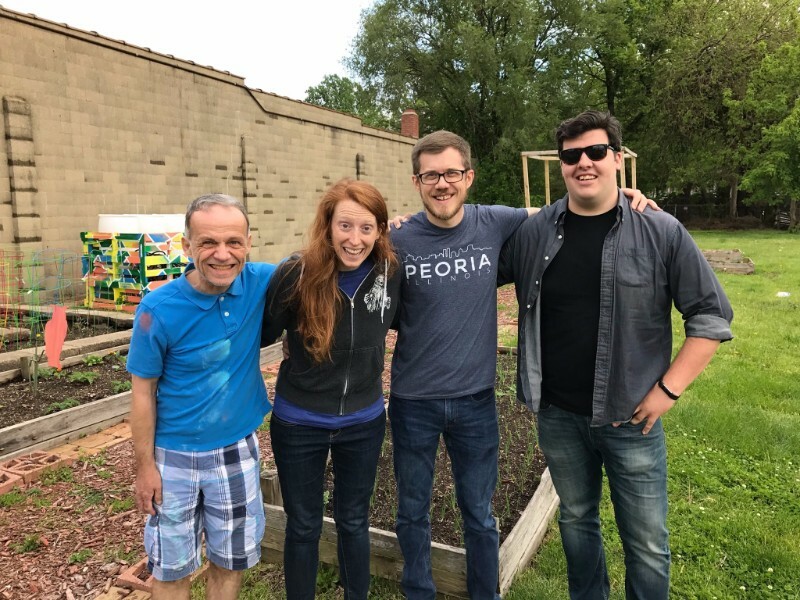 Located in the RPCA’s community garden half way between downtown and Bradley’s campus, volunteers handed out nearly 200 free water bottles. Some students needed a little convincing the water was free, checking and double checking there wasn’t a cost or strings attached. Others were a bit overdramatic in their gratitude, declaring loudly that the volunteers were saving lives. One student told volunteers they were sweet. A volunteer replied that he was also sweet. He replied, “I know. When I was a baby my mom dipped me in sugar.” Yeah, it was funny at times. Thankfully there were no incidents that required emergency services that afternoon. Most students were present to socialize and not binge drink. Some students sat and chatted. All served were very grateful. 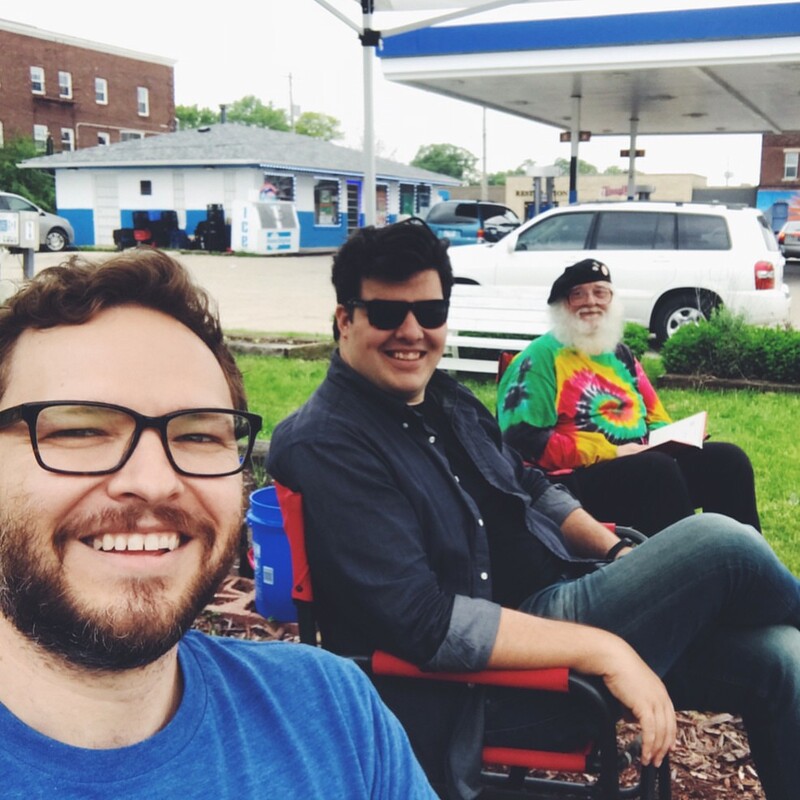 Epiphany volunteers were happy to bless and give a “cold cup of water” to their neighbors in Peoria.